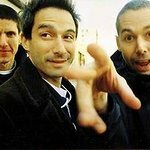 The Beastie Boys played a charity concert in Manhattan to raise money for the ASPCA and Rational Animal. Tickets sold for up to $875, with all profits going to the charities. Google trends for "Beastie Boys"
We don't have any videos related to Beastie Boys.